No one can deny that the Nintendo DS is hot right now. And when a game system is hot (especially when its from Nintendo), it can get away with having ports of older games and have them sell well. So, just like I did with my XBox Live Wishlist, I’ve combined my personal gaming daydreams and combined them with what I think would sell well and developed a Nintendo DS Wishlist. I’m sure there are other great ideas out there, so feel free to share your ideas for the DS as well in the comments section. 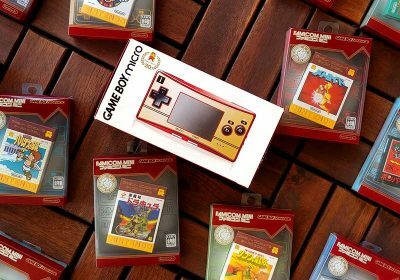 The GBA had all of the original Super Mario Bros trilogy in one form or another. However, each game is on a separate, relatively expensive cartridge and was restricted to the Gameboy Advance’s limited resolution. I’m sure there are some purists that would disagree with me, but I personally think it would be incredible if Super Mario All-Stars from the SNES was ported to the DS. For those of you that aren’t familiar with the compilation, Super Mario All-Stars includes a graphically enhanced version of Super Mario Bros 1, 2, and 3 in addition “The Lost Levels” (which is essentially the original, very challenging Japanese version of Super Mario Bros. 2). 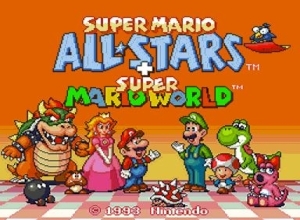 If Nintendo feels especially generous, they could also include a copy of Super Mario World like they did on the later pack-in version of Super Mario All-Stars for the SNES. Anyway, with the success of New Super Mario Bros, I’m sure that a portable re-issue of Super Mario All-Stars would sell like mad on the DS. Soon after the touch screen abilities of the DS were first shown off, old-school gamers were daydreaming about the possibility of a graphical adventure revival. Early cult classics like Phoenix Wright: Ace Attorney and Hotel Dusk: Room 215 have shown that those intuitions were correct. Hideo Kojima, the man behind Metal Gear Solid, developed two similar “digital comics” back in the 1990’s known as Snatcher and Policenauts. While they aren’t directly related, they are both heavily inspired by some of Kojima’s film favorites. 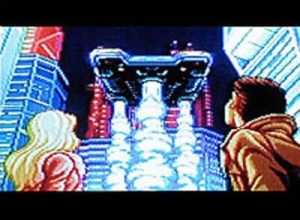 Snatcher has strong cyberpunk influences from movies such as Blade Runner and Terminator, while Policenauts is said to give nods to films such as Lethal Weapon and Basic Instinct. What makes a port to the DS especially appealing is that the only English version of Snatcher is on the Sega CD, which needless to say, limited its exposure to the mainstream gaming audience. Policenauts could benefit even more more a new release in the US as there has not been an official English release on any platform. After the huge success of the Metal Gear Solid franchise, Kojima has much more clout in the gaming industry. Combine that with the rebirth of the graphical adventure on the DS platform and a Snatcher and Policenauts remake should be a recipe for success. As I reported a while ago, there have actually been some rumors about Snatcher coming to the DS after Kojima expressed some interest in bringing the game to a portable platform and the renewing of the Snatcher trademark. Ok, so most people would see a Namco Museum compilation on the store shelf and instantly go into a yawn-fest. But I still have a soft spot for the Namco Museum and Pac-Man Collection Gameboy Advance cartridges. These budget releases serve as an excellent little retro getaway that would be even better if I could run them on my DS Lite with the ability to close up the handheld and put it to sleep in between rounds. To make this new compilation a bit more exciting, I think it would be incredible if Namco teamed up with Nintendo again to make a DS version of the the under-appreciated Pac-Man vs. game from the Gamecube. Pac-Man vs. was actually a project of Shigeru Miyamoto, the mastermind behind Mario, Zelda, and most of Nintendo’s most successful game. 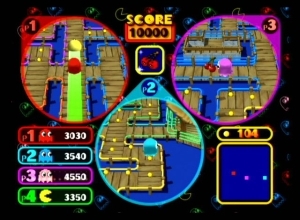 It lets up five players battle it out in a Pac-Man “simulation”. One person take the role of Pac-Man while the others possess the ghosts and team up on Pac-Man. Pac-Man Vs. is a surreal but engaging experience that can’t adequately be explained in a short summary. Just trust me when I tell you that with the DS’s wifi capabilities, Pac-Man vs. would be a perfect mulitplayer title. The Gameboy Advance had great success with Metroid Fusion and then Metroid: Zero Mission (a remake of the original Metroid), so it would be ideal to bring the other Metroid games the a newer portable platform to complement them. Metroid 2: Return of Samus would probably be the most logical choice as it was only available on the original monochrome Gameboy and is probably the least played installment of the Metroid franchise..
Not only could Metroid 2 greatly benefit from a graphical and audio upgrade, but without the use of emulators, the only way to play the game on the go is on an original GB, GBC, or GBA. No DS support for the old Gameboy carts, my friends. Super Metroid would also be also be great as I haven’t been able to play enough of it yet. Bringing to the DS would definitely help me out since my GP2X can’t emulate it well enough yet. 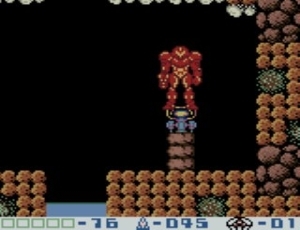 Having every 2D Metroid game playable on the DS would be simply incredible. 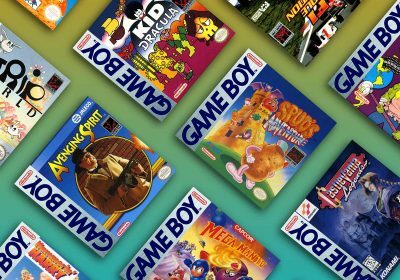 Old-school compilations don’t usually get much attention by the media or the average gamer, but the Sega Genesis collection was filled with enough high-quality 16-bit classics to be called one of the best compilations of all time and a much better value than buying just a few games on the Wii’s Virtual Console. Unfortunately, the Sega Genesis collection was only released on the Playstation 2 and the PSP. Sega recently committed to moving their focus from the PSP to the DS (now that the DS is printing money for Nintendo), so maybe this port has a strong possibility. Much like Sega did with the Sonic Mega Collections, maybe they will add a few extra games for a DS release. The original Genesis collection included almost every great Sega franchise on their 16-bit platform, but the addition complete Shinobi collection in addition to both Shining Force games would make the compilation a dream come true. Right now, most of my gaming on my GP2X is running a Genesis emulator. 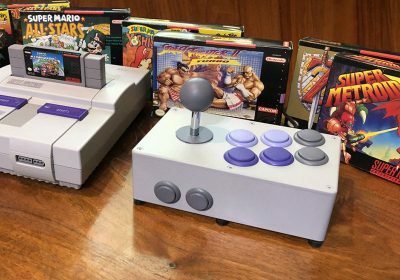 But, if a Sega Genesis Collection was released on the DS, I would buy it immediately and my GP2X would probably sit at home much more often. Much like MattG from PressTheButtons, I met up with Wario back when he was a platforming star on the original Gameboy. I found the Wario Land games to be an interesting alternative to standard Mario games as they included a bit more humor and puzzle-solving. All the different power-ups gave Wario Land a bit more variety that the portable Mario games at the time. Like Metroid 2, its getting harder to play these old Gameboy games on current hardware and it’s a shame that the newer generation is missing out on these gems. 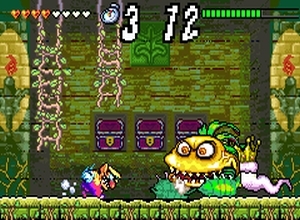 In addition to the three Wario Land games on the Gameboy, there was also an relatively-unnoticed, but high-quality Wario Land 4 on the Gameboy Advance. Even though it wasn’t promoted much by Nintendo, it remained one of the best platformers on the GBA. It would be cool if they could package all four games on a single DS cart, but it would be even nicer if they did a graphical upgrade on the older games. “Super Wario All-Stars”, anyone? MattG PressTheButtons also had a really great idea for an original DS game that would serve as a follow-up to the very popular New Super Mario Bros. 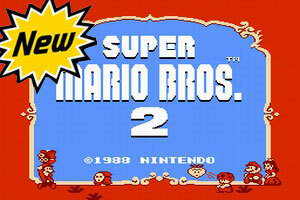 But instead of continuing with the traditional Mario gameplay, Nintendo would go back to the Super Mario Bros 2. (Doki Doki Panic) action, complete with turnip-throwing goodness. Lumines – The DS has the incredible Meteos, but it would be cool to have the other puzzler from Q! Entertainment that was so popular on the PSP. Capcom Classics Collection – Another retro compilation that went to the PSP that has some great classics. I think Snatcher and Policenauts would be better suited for the PSP. Snatcher would be perfect for the DS. If it ever comes out…then I’m buying a DS. 4. you are the expert, but from what i know, the pac-man vs. was designed precisely by the original creator of pac-man (dont remember his name) and not by miyamoto. maybe i am wrong but you should check the web to be sure, cos’ i remember watching some years ago when the game was announced an expo in which miyamoto and this mythic designer were talking about pac-man vs. – another possibility is that miyamoto didnt design the game but just implemented it on the GC, but as i said before, i’m not sure. 5. we all know that at the end even the best critics and reviews cant save the future of a game/franchise or even of an entire studio if there aren’t good sales…. that’s the biggest problem i see with a ds pac-man vs. version….. the game was one of the most original and addictive experience on the GC, and on any other console for that matter, but as u said sales werent all that ‘spectacular’ so maybe they think ‘people doesnt want this’ or ‘this thing doesnt sell’ so its ‘useless’ to port it and its a waste of time and money….. another possibility is that they realize that precisely because all the requierements and the cost to set up this game were so high that the game didnt sell….. the wii would be the perfect solution: dont neet cables, dont need tv, dont need 4 cartridges (hope so) all you need is a ds, 1 cartridge and 3 or 4 friends with their ds to join you and enjoy the experience…..
about the other games, i’m sorry to say it but its all crap….. not the games, of course, but the way you understand the ‘retro’ concept: your concept is to ‘port’ everithing one time after another after another, my concept is to simply enjoy the original game in the pc or in some console with an emulator (including portables like psp and gpx2)….. i find irritating to see the same games repacked ten million times, even if they are classics. look at the namco museum….. one of the finest examples of the biggest waste of money and horsepower: first on the arcades, and after that……. 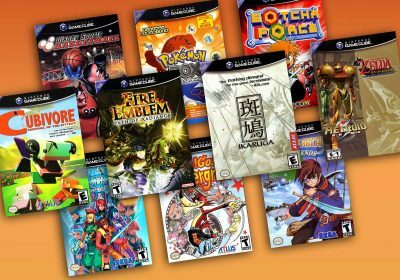 the N64, the ps, then the ps2 the xbox the gamecube gba the xbox live arcade and now even the ds and the psp…… how many times do we have to buy the same games??? 5, maybe 10 times? 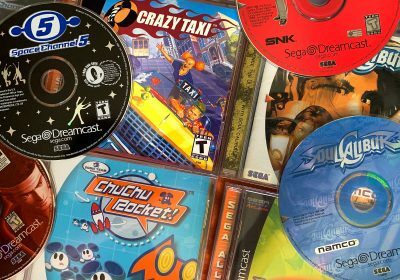 about the horsepower, i find it simply the biggest waste of horsepower to have a machine like the ps2 running a 4,700 MB DVD with 5 namco ‘classics’ that probably have a combined size of 300 KB…. got my point??? i have a dvd burner on my pc, and in one single dvd i can burn (and in fact i do it for my frinds) not 5 or 10 namco classics but instead thousands of classics that can be emulated to the perfection with mame…… now, that efficient, not 5 or 10…… but thousoands. or look at nes classics, we had the gba ”classic nes series”, we had the original mario bros (not super mario bros) packed in every single super mario advance and even in games like mario & luigi superstar saga or the classic excitebike, we had it in GC games like Animal Crossing and now the Wii virtual console…… five bucks for a 25 years old game…… even if its the biggest classic you can imagine its still crazy….. nintendo is sick about money…… i dont have problem companies have profit, thats why they do this…. but at least on new games, not games already sold half dozen times…… nintendo makes Micro$oft look like a saint….. well, my point is, in the last 10 years all the retro games re-released, all of them combined, very probably represent 1-2% of all the games available, so its simply stupid to wait until each and every one gets ported, isnt it easier to just turn on your pc, run your favorite nes/snes/gba/puthereyourfavoriteconsole emulator amd enjoy 100% of the catalog of these or any other consoles? and leave the companies our money only for fresh material, new material, not something for what we already paid them half dozen times?!?! Also as this sovietsniper dude said re-releases are lame compared to emulators, almost every time their quality and flexibility of configuration is laughable when compared to a PC emulator. To respond to both sovietsniper and Timerever, I know that most of these games are more enjoyable on an actual console or a PC emulator, but that’s not the point. I (an many other people) aren’t able to sit at home all the time to play games. I do most of my gaming right now on handhelds because I can take it to work for my breaks, take it with me to boring places to pass the time, or whatever. If your argument was true, we would hardly have ANY portable games. Back to silentsniper’s other comments. Thanks for expanding on the Pac-Man vs. idea — that’s pretty much what I was thinking, but didn’t take the time/space to say. PD: its SOVIETsniper, not SILENTsniper……. Oh yes Snatcher. And Policenauts. And Mario All Stars. Note that he said “all the time,” and I would have to agree with his comment. I enjoy playing on my PC and home consoles, but I have MUCH more free time to play my portable systems since I can take them on the go. During the week I am out of the house for over 11 hours a day, and even during my weekends I am usually out of the house, running errands. My portables go where my PC and consoles can’t. So while games on those platforms may be “better,” there’s something to be said for the sheer portability of handheld games. But as you said, we DO have “hundreds” of portable games, therefore not everyone thinks that way. That’s basically how I see it as well. And sorry, SovietSniper for the name mix-up and not reading your comments carefully enough. I was in a rush to get out the door to work, so I kinda skimmed and wrote quickly. Part of why I like to play the older games on a portable (in addition to new retro releases) is so I can play the games I missed out on or haven’t had time to play at home. Like I said, the DS gives me a lot more flexibility when and where I can play. 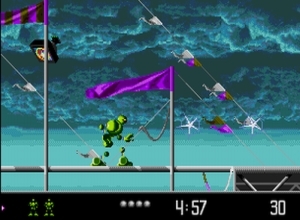 In order to write confidently about classic games, I need as much exposure to them as I can. Maybe not everybody else falls into that category, but I would think others would like to be able to catch up on the classics they missed as well. I was always under the impression (call it false hope, if you must) that New Super Mario Bros 2 would be a sequel to Super Mario 2. So I got to thinking, and came up with a theory. Rather than being the next in the line of traditional Mario platformers, I came to see NSMB as a direct sequel to only the original Super Mario Bros. It uses a few gameplay conventions from later installments (item bank, secret items, somewhat non-linear overworld maps) to give it a modern twist, but purposefully excludes other additions such as multiple exits since those additions deviate far too much from SMB’s template. I would think, if I’m right, Nintendo would release a NSMB2, NSMB3, and NSMB World, each one a direct sequel to their particular namesake. Oh, and Snatcher/Policenauts DS would be a definite day one purchase. I thought you had a GP2x, thou I dunno if the exiting emus are any good. I do have a GP2X, but the SNES emulation isn’t very good yet. Also, I enjoy many of the features of the DS over the GP2X such as the smaller size, better battery life, and the ability to close it up and put it to sleep & then open it back up and instantly be back where I left off. I can play lots of Genesis games fine on the GP2X, but I would still be willing to pay $20-$30 for a good Genesis collection that gives me a more polished experience with the essential games. For Metroid fans: Get Aliens Infestation! A 2d action game by Gearbox Software and Sega. As for the Genesis Collection not being on the DS. That’s lame. I got the PSP version of that game,but I own the DS lite. now I’m looking on Craigslist for a used PSP. 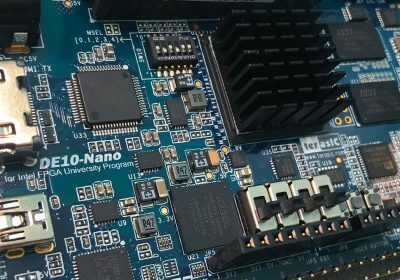 Maybe a older model for under $70.